In the 21st measure of Mozart's Rondo alla Turca/Turkish March (3rd movement of K. 331), there's a trill in the treble clef that I can't quite get right. 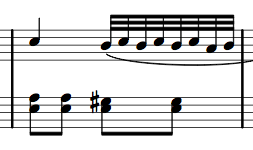 Would you be so kind to expand the measure as plain notes, so I know when to coordinate the base chords with the trill please? Note that the trill should not necessarily be played exactly in time, but this should show you where it begins and ends. I agree with the speed of the trill in Ben's answer, but this documents the fact that Mozart started his trills on the upper note (either directly or suspended). This is further proven by the fact that skipping directly from C to A is both unnatural and unlikely. Here is how it should be played: Starting on the upper note leaves us to end on the B, leaving a smooth step to the A. Note, the first C of the trill should be tied to the crotchet. Not the answer you're looking for? 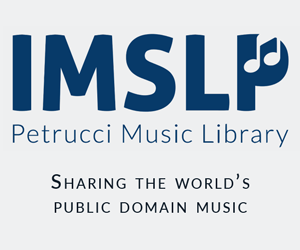 Browse other questions tagged piano notation or ask your own question. What can I do about my problems with piano scales which manifest in just one direction? Where should whole notes be drawn within a measure? How to overcome the difference between weighted and unweighted piano? What makes a Turkish March a Turkish March?